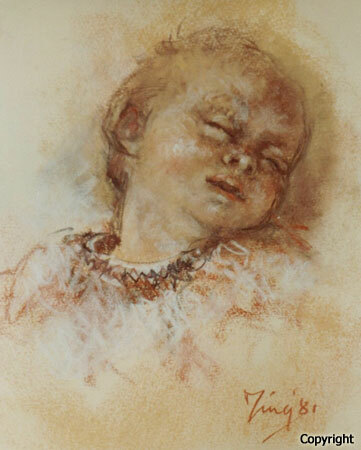 Ming was the first Patron of The Pastel Society of Victoria Inc. that she also co-founded. 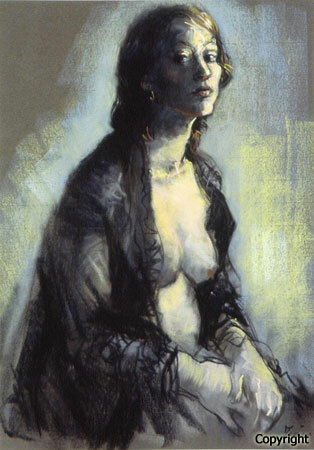 Internationally renowned for her expertise in both the oil and pastel mediums Ming trained in the United Kingdom. She studied art at London’s Central School of Art and Crafts and later taught at the Chelsea School of Art. In the early 1950’s Ming came to Australia and settled in Adelaide where she lectured at the South Australian School of Art whilst free-lancing, exhibiting and undertaking private painting commissions. In 1970, after moving to Melbourne, Ming went on to teach for 16 years at the Victorian Artists’ Society where she became a Fellow of the VAS. She had 11 solo exhibitions, participated in over 21 shared exhibitions and won numerous awards for her works. Ming was noted for her excellent portraits and painted many notable people. Her portrait of the late Pauline Toner MP gave Ming the honour of being the first woman artist to have a portrait hung in the Victorian State Parliament. On retiring from the VAS, Ming opened up her Eltham studio and took in students teaching pastels, oils, watercolour and drawing. She also continued to tirelessly promote the pastel medium in Australia. Ming died peacefully on 4th September 2009. We pay tribute to her artistic achievements and her contribution to the Pastel Society of Victoria.